Bored with checkers? We include 20 different variations! In our favorite Irish Draughts you must move one of your men the number of squares indicated by rolling a die -even if it endangers your piece. 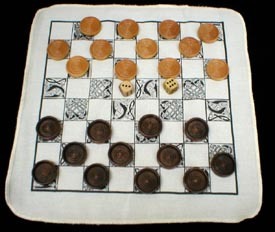 We include dice with each set of checkers.